If you enjoy Zinfandel, you have probably seen or heard the term 'old vine'. While this may sound like a term of distinction, what does 'old vine' really mean to the quality and character of the wine? Typically, 'old vine' indicates wine sourced from notably old grape vines. Why would you want to drink wine from an old grape vine? Older vines give birth to better wine. Is this always true? Not necessarily! Because there is no legal standard by which a wine can be classified as 'old vine', it is important to learn more about the wine before assuming that this title has any bearing on the taste. How old is 'old vine'? It really depends... Grape vines can grow for over 120 years. After a vine's 20th birthday, yields start to decrease and the grapes become sweeter and more concentrated. Following this milestone, old age takes its toll by increasing the quality of the grapes at the expense of the total yield. 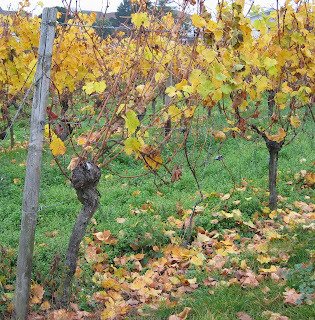 Although older vines are better, there is a point where the vine stops producing enough grapes to make it useful for making wine. This is typically the point at which the cost of producing wine from its minimal yield is too high. Who has the oldest vines? 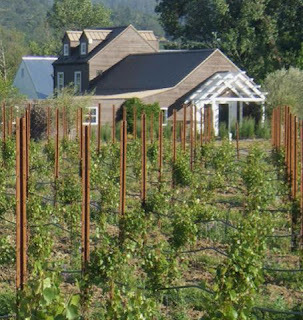 The United States is home to California Zinfandel vineyards that are up to 125 years old and still bearing fruit. A good example of such a California 'Old Vine' Zin is this Ferrari of a Mule. The Barossa Valley in Australia hosts the Langmeil vineyard which is one of the oldest vineyards. It produces Shiraz grapes planted in 1843. That comes out to a whopping 166 years old! The winner of the title 'oldest vine' goes to a vine planted in Slovenia over 400 years ago. Don't expect a lot of wine from this vine. It produces only about 35 to 55Kg grapes each year which is then fermented and put into about 100 miniature bottles. How old does a vine have to be to make a difference in taste? The jury is still out on this one... the age at which a vine is considered 'old' is relative to the age of wine in the particular region. This could mean twenty years might be old for vines grown in newer regions whereas others may consider 40 years of age the defining cutoff. 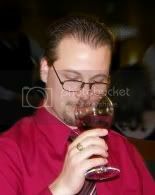 How do I avoid getting ripped off on an 'old vine' wine? Think of this classification in the same way you would think of a bottle labeled as 'Reserve'. Reputable vineyards use it as a badge of distinction to signify that the wine is a mark above the rest. Be careful though not to assume that this is always the case. A little research into the vineyard and its history will help you determine if it is worthy of the title. Say tuned for winery and wine reviews of these selections! Also, very special thank you to Virginia and the folks from Truett Hurst Winery for their kindness, support, and willingness to share a glass of their wine for the rest of the world to enjoy. The majority of the Old Vines in California are found in Lodi and Amador County. There is no rule regarding how old vineyards need to be in order to earn that distinction. At the recent Zin Festival in Lodi a wine association spokesman gave his opinion that the vines would need to be 50 years old or older. A great example of Old Vine Zinfandel I tasted at the Zin Fest was Oblivious Zinfandel by Macchia Vineyards. Very complex rich flavors. I picked up a case. Once again I've learned something new. A chance to share a glass of wine and learn something about it is what I love most about your blog. Fanucchi Vineyards in Sonoma has old vine Zinfandel and the vines are 100+ years old and maybe 118 years old. Amazing to see. Good wine too. What I like most about blogging is the learning experience. I would have never been able to answer any questions on 'old vine' wine till now! Thanks Randy for the post!! I am really glad that I was able to share something interesting with you all! Thank you for taking part... for me it is a learning experience too! I am looking forward to tasting one of this week's choices from Truett Hurst! Let's see if old vine really differentiates these from the rest. Hey, the mist cleared and I remembered the wine. It was a 2005 Old Vine Zin from Renwood, about $25. Very good stuff for the price. Good call, Kort! I have heard good things about that Renwood Old Vine Zin especially considering the price!